BEST SELLER! 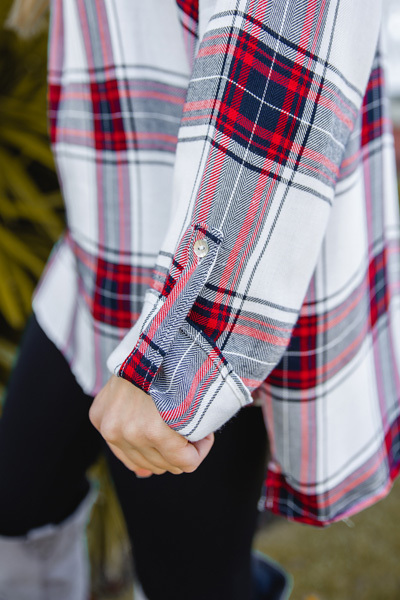 Plaid for any season is just a necessity! 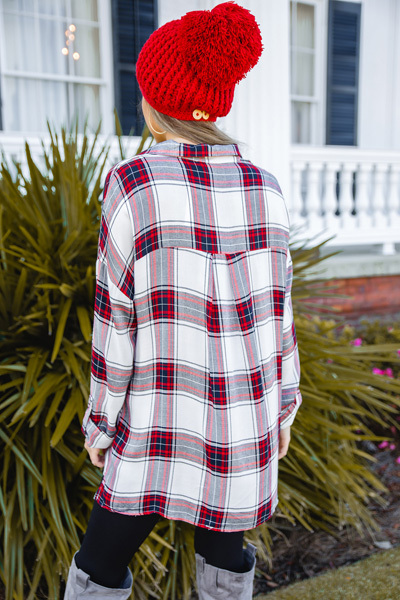 This one is a lightweight, 100% rayon material that can easily be used for layering. The longer length keeps it leggings and jeans friendly, and the V neckline + a pleated front make it super flattering.